Don’t ignore a leaking hot water system or hot water service. You should take action as soon as you notice your hot water system is leaking. When it comes to hot water, the smallest leaks can quickly turn into a big problem. The last thing you want is not enough hot water or even worse not hot water at all. A small leak could indicate that your hot water system is corroding. This will only get worse over time. Hot water systems tend to last well beyond their warranty period of five to seven years with the average lifespan of a hot water service lasting around 10 or 12 years. To check the age of your hot water system, look for the manufacturer’s plate on the hot water unit and locate the manufacturing date. On some units this may have a plastic cover over it. A hot water system leak can be stressful for even the calmest homeowners. It pays to know what to do ahead of time, so you can be prepared if you find your hot water system leaking. Before phoning a Newcastle plumber, the first step you should do is check where the leak is coming from. Is it leaking at the top or bottom of the hot water system? Or is it leaking from the pressure relief (PRV) or pressure/temperature relief valve (PTRV)? If water is coming from other pipework nearby, you have an entirely different issue on your hands. Find the relief valve on the side of the hot water system near to top or bottom. Lift the level three or four times to clear any blockages. 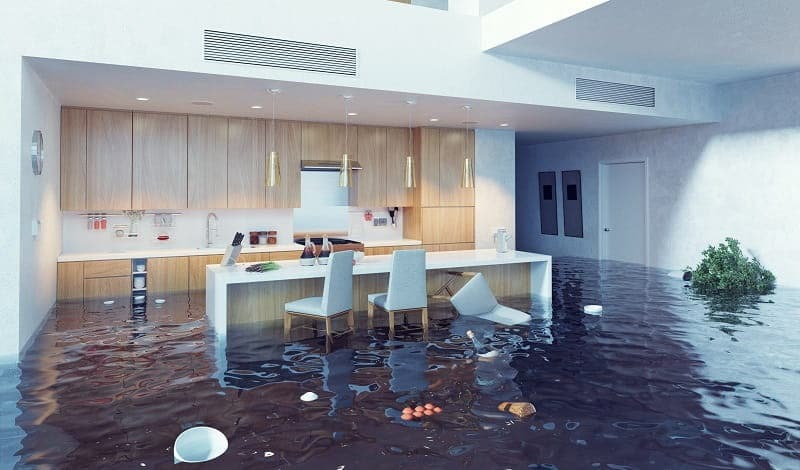 If the water leak stops, your problem is fixed. If the water leak keeps running, your probably need to replace the valve. This is a relatively inexpensive repair that can prolong the life of your hot water system and reduce water wastage. If the leak is coming from the top or bottom of your electric or solar hot water system, turn off the electricity to your house at your power board. Don’t ignore this step!A direct connection of electricity and water is potentially deadly. The hot water heater should have its own fuse or circuit breaker on the power board. You will still be able to run power to the rest of the house. The next step is to turn off the water on the inlet pipe to the hot water heater. This applies to electric, solar and gas hot water services. Look for a small tap or level valve on pipework leading into the bottom of the hot water system. Turn this off fully. If you can’t find the inlet valve or it can’t be turned off fully, you are best to turn off the water at the mains water meter. In most Australian homes you will find your water meter mains in the front yard or along the side of the house. If you are in a unit or apartment, it could be under the laundry tub or kitchen sink. If you can’t find it ask your strata as they can be well hidden. Once you have found your water mains, turn the tap handle until it is in the off position. Once the water main is off, there will be no water running into your home. It’s a good idea to fill the kettle and a bucket with water beforehand so you can have something to drink and to flush your toilet with until your plumber arrives. 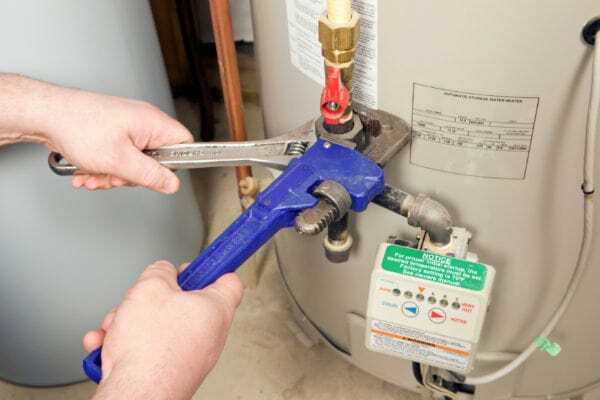 Depending on the cause and severity of a leak sometimes hot water heater repairs are possible. Other times a hot water heater replacement is the only solution. Replacing a broken hot water system with an identical unit is a common solution. This however may not always be the best option cost wise or environmentally. Hot water systems are constantly changing and what was the best 10 years ago is unlikely to be the best today. It is highly likely that there is a better option to suit your home and lifestyle. We often come across people who have tried to DIY their hot water system issues. Occasionally it works for them, however in most cases it doesn’t. Often a faulty hot water system is part of a bigger problem and quick fixes are more band aid solutions. Eventually the quick fix comes undone and you end up with a worse situation than you started with. We recommend homeowners avoid working on their own hot water system. Once you have confirmed that the leak is from the hot water system, the best thing to do is call a Newcastle plumber. Once you’ve shut down your hot water system, it’s time to give us a call or fill in the form below. Either way, we’ll have a plumber from our team out to fix your hot water system. 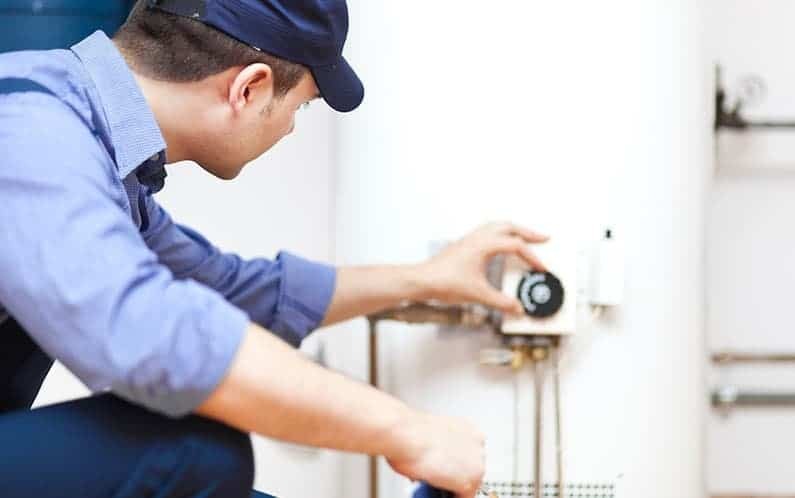 Because our Newcastle team are all fully qualified plumbers and gasfitters, we can handle any hot water heater repairs or installations. We can install a new hot water system identical or similar to your old one, or change you over to something better suited to your current family size. We’ll also take the old unit away, so you don’t have to worry about disposing of it safely. We make everything as easy, convenient and efficient as possible for you.